The Carlisle 581207 Louis™ tumbler has a faceted shape that makes it comfortable to grip. The glass is stackable to provide more storage space. 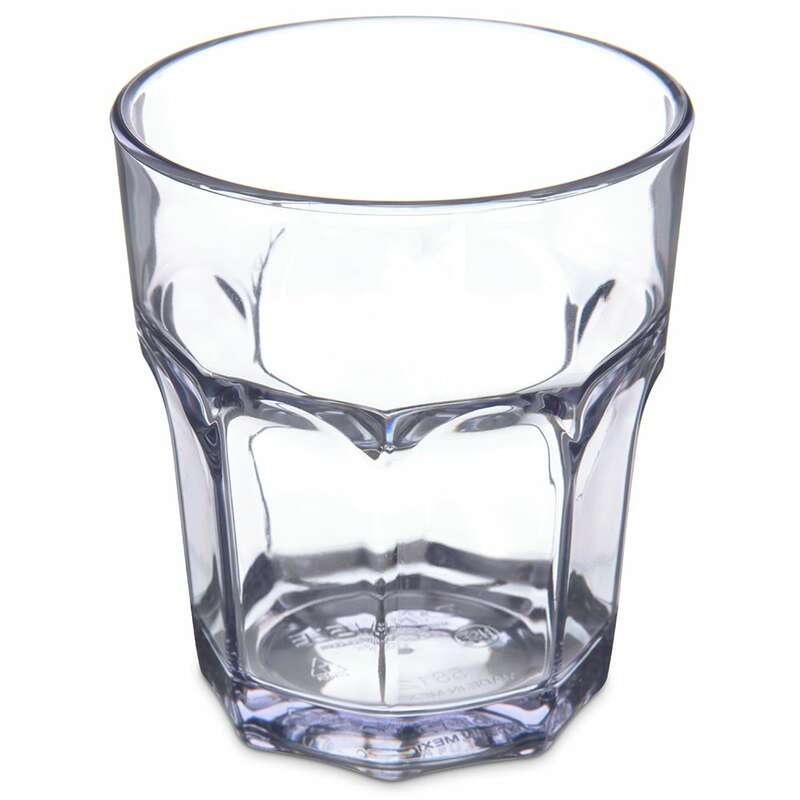 Holding 12 ounces, the glass is perfect for soda, water, juice, and more. The SAN plastic construction is resistant to breaking, chipping, and staining. This material is safe in temperatures up to 180 degrees Fahrenheit. 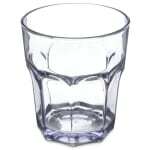 With the clear material, product in the Carlisle 581207 Louis tumbler is fully visible.